ECHD PATIENT PORTAL is HERE! On September 11th, East Central Health District rolled out a new patient portal. If you already have an account you may log in here. It is a secure online tool that gives existing patients access to a convenient and free way to manage their personal healthcare information at participating health departments within the East Central Public Health District. Access your test results. View your results and your doctor’s comments within days. Communicate with your provider. Get answers to medical questions without phone tag or unnecessary appointments. Send your health records securely to other providers. Visit your local health department and speak with a check in representative. Sign our consent form and provide us with your email address. Click the link in the email and you will be prompted to enter your first and last name then create a password. Click “Create account” once you are finished. Log in to your account using your email and the password you just created. Can I sign up and any one of your health departments? No. The patient portal is limited to participating health departments. Our Mcduffie County, Richmond County, Wilkes County and Emanuel County health departments are currently participating. Can I get patient portal access for my family? No. Patient portal access is only available to clients of the health department who are 18 years old and over. The only way to gain access to other members records is if they grant you access via the portal. 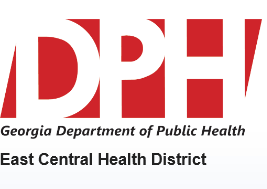 If you have any questions please email us at ecphd@dph.ga.gov.